Has the COK performed any transportation planning/study prior to allowing this project to eliminate Fair Street extension? 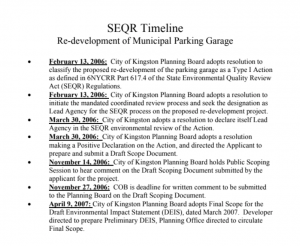 I would like to see the spirit & letter of the law respected and an independent traffic study included in the Kingstonian DEIS following a POS DEC. The community deserves a better understanding of the potential impacts (vehicle speed, density, congestion, etc.) resulting from 1.) 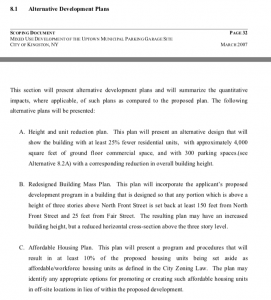 eliminating Fair Street extension and 2.) movement of all construction related vehicles. This minimum amount of consideration should be given to current local residents and business owners. The applicant in this case would be responsible for the traffic study as it pertains to the project. We would like to see a pos dec and a public scoping process, so that way we can follow the results and be sure to comment along the way. The fact sheet in this post on scoping helps to understand why it is important for a project of this magnitude.